John Davies grew up in Detroit, Michigan - exposed from an early age to his families' richly diverse musical background. He was especially affected by his mom; who played piano and sang professionally. She was the catalyst for John Davies' musical career - as a virtuoso bass player. John currently works in the New England region and occasionally in Europe, where he does session work, freelance performance work and also tours with various local and national artists. 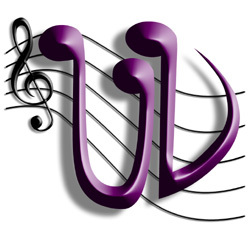 Most notably he's played with Herb Reed's original Platters, on Michael Moore' recent movies, the East Groove Orchestra, with NightLife, and of course, the one and only - UV! Steve Dow (aka "Jolt") has been playing kit drums, percussion, and lead & backing vocals for over 20 years. He's toured throughout the U.S. with the original jump blues band "The Persuaders", as well as throughout the northeastern U.S. with the rock band, "Safety In Numbers", and performed with many other cover and original bands. 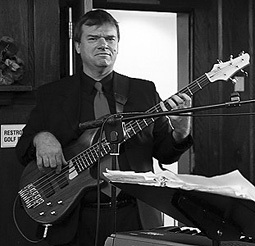 He is comfortable creating and playing in the genres of Jazz, Fusion, Big Band, Latin, R&B, Motown, Progressive Country, Funk, Classic Rock and Progressive Rock. 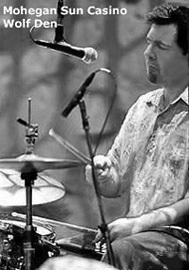 Steve has earned an "Outstanding Musicianship" award from the NAJE (National Association of Jazz Educators), shares an ASCAP song writing award (earned while touring with the original rock band, "Safety in Numbers"), and placed third at the 2004 "World's Fastest Drummer" competition - held at the NAMM Show in California. Steve's current "unofficial” maximum speed for single stroke rolls in 60-seconds is 1069 - but groove is where it's really at!